Hiring can be nerve wracking – especially when onboarding remote employees. But you go ahead with it anyway. You need the extra help, and you have specific tasks for them to handle so you can keep growing your business. There’s just one problem — your team members will never be as motivated as you are or have the same vision you have. And with employees who work remotely, you have no idea how well they’re using their time. There are tools and apps you can use to track their activity, but micromanaging, even in remote situations, is counterproductive. Many employees, in fact, feel they can be more productive when they can work remotely. Nevertheless, motivation must be ongoing. No one performs at their best without regular input and feedback. Applying the following five strategies will keep your remote team engaged. They are recommended and implemented by employee retention consultants and business owners alike. Using at least one of them will improve employee motivation significantly. Using all five will completely change your business. Regular communication keeps your team members in the loop and helps them feel more connected to your organization. She suggests that regularly-scheduled meetings can create a sense of belonging and help remote employees gain a better sense of direction with their work. As result, remote workers often only receive negative feedback. If they were present in the office, they may have obtained approval or got an encouraging response from management, leading to increased motivation. But because they are working from their home office, they miss out on positive communication and only hear from you when something goes wrong. You must be deliberate about offering positive feedback and praise. Some managers only contact remote employees when something is wrong. This lack of positive communication crushes morale. You must be deliberate about offering positive feedback and praise. All employees want to be recognized for the value they bring to the team and company. But for reasons mentioned above, it’s easy for your virtual staff to feel left out and underappreciated. If you don’t have a recognition program in place already, start here. Create a community for your team. Your virtual staff needs to communicate with more than just your managers. They should also be given the opportunity to interact with other team members – not just those who are also working remotely, but those who are present at the office. Recognize individual efforts. Be specific in your praise and recognize outstanding contributions. Reward your team with things they can use. Certain gift cards may not be of much value to workers who don’t have access to specific businesses in their locality. Ask them what would be useful to them and reward them accordingly. Use multiple channels to connect with employees. Don’t just communicate via email and Slack. Take advantage of video conferencing, Skype, social media groups, phone calls, and other methods to make workers feel needed and a part of the team. Thanks to technology, it’s easier to make people feel connected than ever before. Understand their culture. Offer rewards that make sense for them. Take the time to understand their culture so you are recognizing employees in a way that’s relevant and beneficial to them. Praise is most effective when it’s immediate, relevant, specific, and public. Keep this in mind as you look to create a recognition program that engages your virtual team. Because remote employees aren’t in the same office as you, they may become worried that there isn’t a clear path to advancement. This concern only compounds with time. A new employee may stay motivated for a few months, but after “the grind” sets in, they will begin looking elsewhere if they don’t see any opportunities for development and promotion. Mark Murphy, founder of Leadership IQ, says that one of the biggest challenges of employers managing remote workers is ensuring they are continually growing. What your employees would like to get better at this month. This helps you gain a better understanding of where they’d like to up their game. What they’re doing better at this month compared to last month. This helps your employees see how they’ve been developing, especially in areas they may not have been aware of. What their best moments were in the last month. This helps you understand what motivates your team members. What their worst moments were in the last month. This helps you identify tasks that are draining their energy and motivation. Gaining a better understanding of what makes your remote workers tick keeps them engaged. They may have hidden skills that are beneficial to your organization. If so, you can ask them if they’d be interested in new assignments relevant to those skills. You may also be able to streamline their role so they’re handling tasks more relevant to their skillset. This way they’ll spend less time on projects that drain their energy and make it hard for them to perform at their best. Time tracking software can help you and your workers see where time is being spent. For instance, if your employee is spending eight hours on a task that typically takes two, you can start shifting roles and responsibilities. This will make your employee happier and your business more productive. According to CIPHR, 64 percent of companies don’t have a formal remote working policy. And only 3 percent measure performance, engagement, and productivity to quantify ROI. This doesn’t mean you need tight regulations and red tape to manage your virtual staff. But you do need an infrastructure to support and engage your workforce. You also need a way to measure their performance. Otherwise, you won’t know when they’ve succeeded or failed, and neither will they. All team members need clear targets to hit. He goes onto explain the importance of finding the balance between standardization and tailoring the system to the individual. This will help them be as effective as possible. Putting systems in place and measuring the performance of your virtual team members will ensure that they are productive and that you are consistently getting the best results possible from their efforts. They will also be more motivated to keep producing at a high level when they are getting good feedback on the work they’re delivering. Gamification in the workplace is growing in popularity. While not a new stat, according to eLearning Industry, gamification will be the primary mechanism that 40 percent of the Global 1000 organizations will employ to improve their business operations. Gamification makes work more competitive and fun. When tangible rewards are attached to hitting certain objectives and milestones, people feel more motivated. Communication. You can use social networks like Jive and Yammer to create a “watercooler” effect online. In addition, posting, liking, and sharing can be rewarded on Jive and Yammer. These are just some of the possibilities. Trust and productivity. Micromanaging is counterproductive to the overall goal of productivity within an organization. But gamifying productivity can make it fun and rewarding. This allows you to set accountability in motion without your virtual staff feeling like they’re constantly being spied on. Culture and training. Company culture doesn’t always translate well to remote workers. 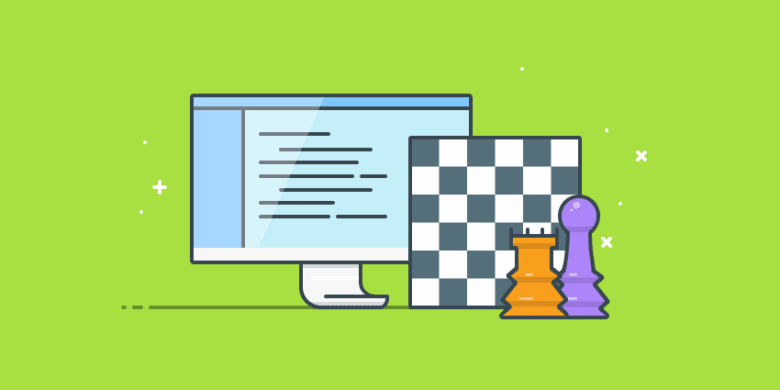 But gamifying the learning and training process can help your virtual team gain a better understanding of your culture, product, and processes. How do you keep remote employees motivated? Motivation has many benefits, including better retention. But motivation doesn’t happen overnight. You can’t organize a one-time pep rally and expect your employees to be excited about their work forever. Motivation is a long game, and you can get a jumpstart on it by following the strategies detailed above. If you have your own strategies for motivating remote employees in your company, I’d love to hear about them. Please share your thoughts in the comments below. Jon is the cofounder of ZoomShift. He's addicted to the creative process and learning new things. His current creative outlets include Ruby on Rails web development, music, photography, and local lead generation.